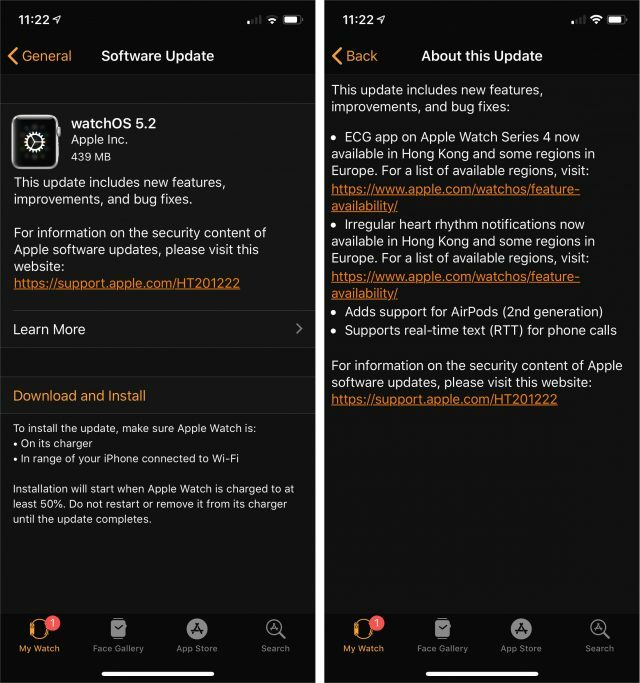 Several days after the rest of its operating system updates, Apple finally released watchOS 5.2, which most notably extends the Apple Watch Series 4’s ECG to Hong Kong and many European countries. Previously, these features were available only in the United States, Guam, Puerto Rico, and the US Virgin Islands, but Apple has now added Austria, Belgium, Denmark, Finland, France, Germany, Greece, Hong Kong, Hungary, Ireland, Italy, Luxembourg, Netherlands, Portugal, Romania, Spain, Sweden, Switzerland, and the United Kingdom. 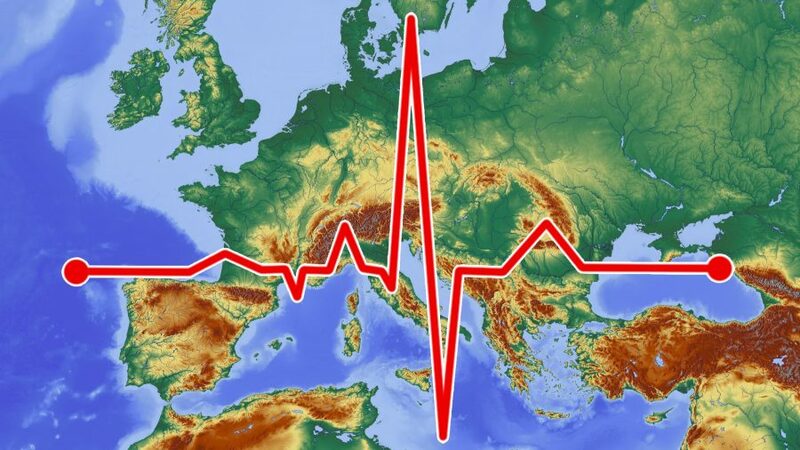 Users of other Apple Watch models in those countries can also now get irregular heart rhythm notifications. For those who don’t have an Apple Watch Series 4 or aren’t in one of these countries, watchOS 5.2 also adds support for the second-generation AirPods (see “Second-Generation AirPods Gain “Hey Siri” and Optional Wireless Charging,” 20 March 2019) and supports real-time text (RTT) for phone calls. You can install the 439 MB update using the iPhone’s Watch app—go to Watch > General > Software Update. What is “RTT (real-time text) for phone calls” in relation to where/how it features on Apple products? I know what it is and what it’s supposed to be able to do (erm, text appears at the receivers end in real-time as opposed to after being typed THEN sent) , but as a non-watch owner, how is this implemented on watchOS? And is it also featured on iOS / macOS? Didn’t find much from searching explaining the feature. I don’t know much of anything about the feature, but Apple has a support page on it. It looks to be a specialist feature for deaf or hard of hearing users, AFAICT. As I can’t really see the advantages for general hearing users. Looks like a decent and hopefully helpful thing, and as ever, good for Apple to continue their efforts into Accessibility features.